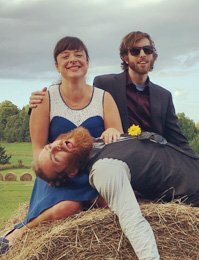 In case we haven’t met yet, I’m Jeremy (the one with the red beard). I’m the one who gets to write to you this time! As I sit here by the fire in my new home on the farm, it’s easy to forget that just a year ago, we didn’t know where we would be starting this venture. What a big year it’s been for us! It started out with us welcoming a fifth member to the team. This was great news because it meant we could start up at a fairly efficient scale and divide pre-launch tasks between all of us. 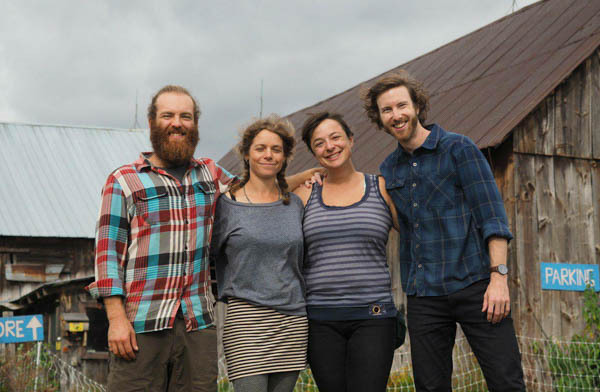 February – April saw us working on legally forming the co-operative, choosing where exactly to start our farm, and figuring out what equipment we would need. 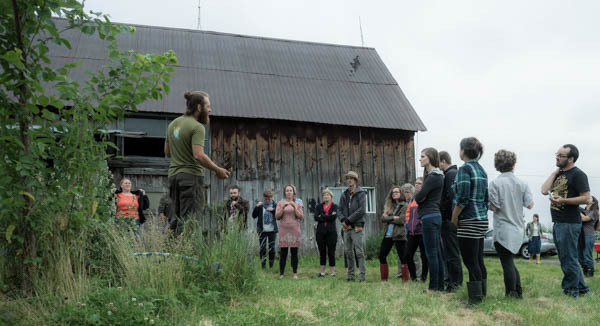 We took the leap to start our farm in the NCC Greenbelt, between Nepean and Kanata. On June 1st, we officially took over from our predecessor, David Burnford, at the farm formerly known as Riverglen! We were so excited to show our friends and family the farm! They even wanted me to give them a proper tour. 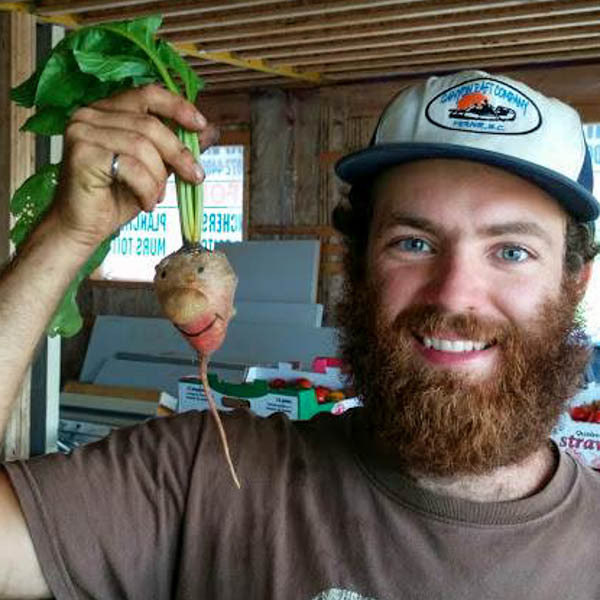 Our plan was always to start offering vegetables in 2018, so we’re glad that Matthew and Madeleine of Backyard Edibles were making use of the place for the 2017 growing season. 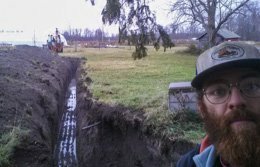 Meanwhile, while all working other jobs and all but 1 of us living off-farm, we worked on planning our launch, sourcing equipment, and preparing the fields for 2018. 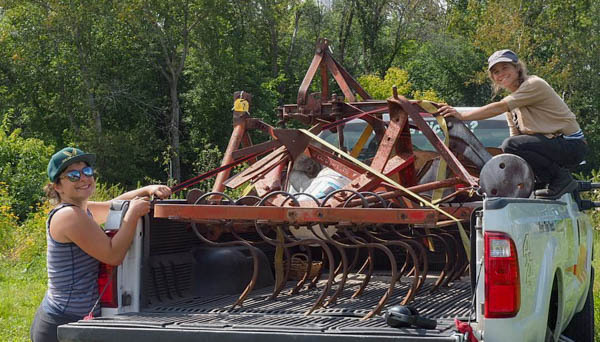 Lise-Anne and Catherine unloading tractor implements, used for field prep. Since the place is over 100 acres, we’re keen to share the space with others who can make use of the parts we don’t have a good use for yet. 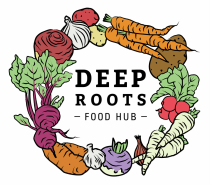 For example, we partnered with the Deep Roots Food Hub, and they will be building a community root cellar on the farm this year. 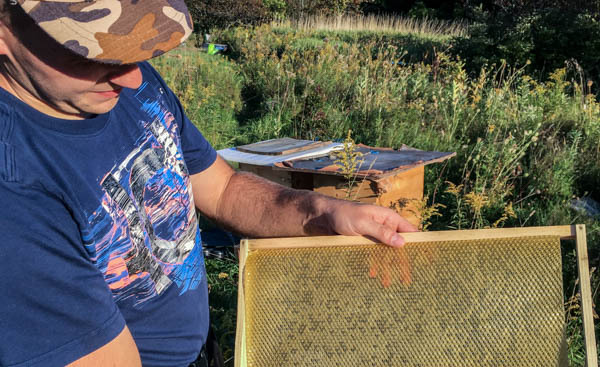 Alex keeps beehives on the farm and he will have honey for your enjoyment! 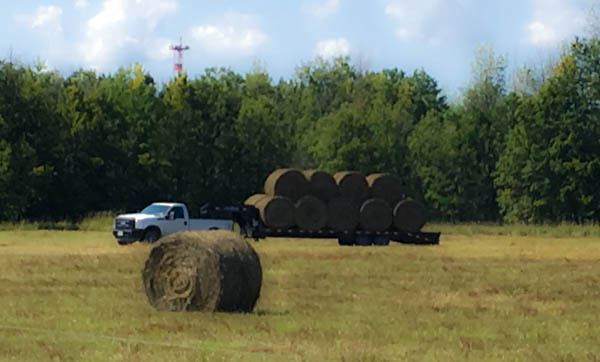 Hay leaving the farm (“exporting fertility”). We would prefer to better use the 35+ acres of grasslands, and we’re open to partnerships or great ideas on how to do so economically. Summer ended on a bit of a sad note, with the departure of Kevin M, one of our founding members. He is now raising sheep in BC! We wish him the best of luck, and are grateful for his contribution to getting BeetBox where we are now. Despite Kevin M’s departure, we were still 4 strong and nothing would stop us. Once the fall fell, we ramped up the hands-on work and made sure we got some key tasks done before the snow flew and the ground froze. Garlic planting! Thanks to Janice, Barb, Angela, Marie Neige, Aaron, Dierdre, Brian, Paul, and Mathieu for your indispensable help! 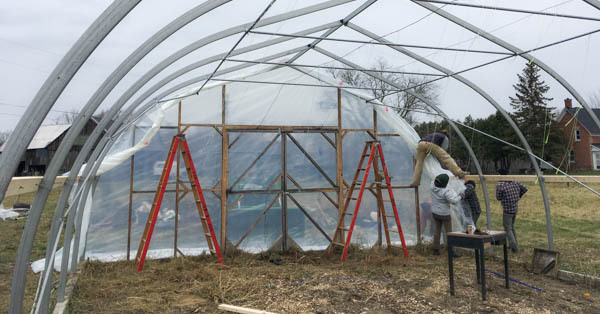 We made some important improvements to the hoophouse, which will allow us to use it in the winter to start growing lots of beautiful strong seedlings! 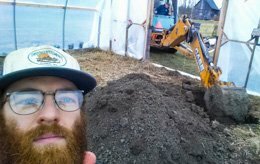 Thank you to Roger, Jan, Angela, Markian, Kate, and Kevin G for braving the cold to help us out, and to Garnett for the backhoe skillz! Winter started off somewhat hectically, with David, Lise-Anne, and I moving into the farmhouse while kitchen and bedroom renovations were still incomplete. Thankfully the result is great and we’re much more settled now. Thanks to Mathieu B, Mathieu M-G, Angela, Kate, Andy, Pierre-Olivier, Michel, Diane, Marie-Pierre, and Daniel for helping with the move. 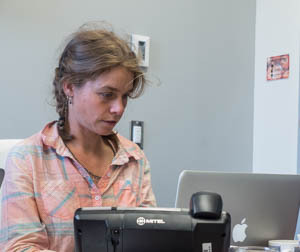 As we were about to launch the VegBox CSA program in December, Catherine informed the rest of the team that she would be leaving the co-op in the following Spring. This news was really tough on morale, and has tested our resolve. 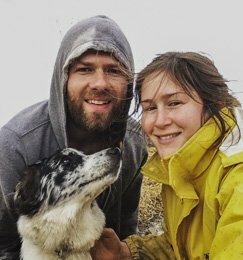 It forced us to take a hard look at our ability to hold things together in 2018 with only three of us; rather than the give who decided to take over stewardship of this farm. After crunching some numbers, consulting with loved ones during the holidays, and doing some creative thinking, we are confident we will make it work. We’ve updated our business plan to adapt for a smaller team. We take our commitment to providing Ottawans with healthy food very seriously. We’re not going anywhere anytime soon! Thanks Catherine for all your hard work! This winter we also worked on, and hope you like, the new logo and website. If you ever need a talented designer, look no further than Anne-Marie Laplante at Flourish Creative. She’s rad. Thanks Anne-Marie! Drop in sometime to say hi and maybe go for a XC ski on the trails around the farm. We’d love to meet you or to catch up. Here’s to a great 2018! Thanks to our supporters, mentors, partners, family, and friends. You mean the world to us! 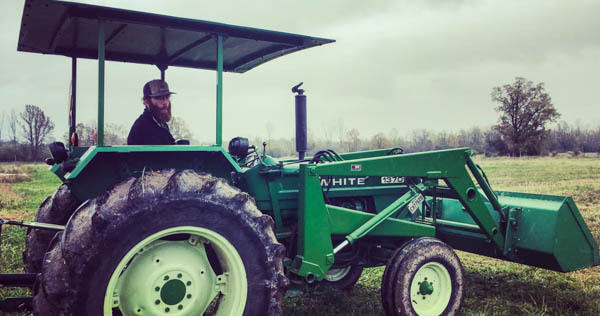 Follow our adventures in farming. 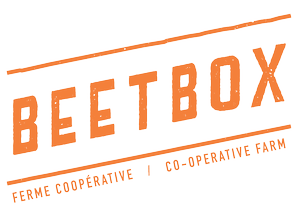 All content Copyright © 2019 BeetBox Co-operative Farm Ltd.